NEW … USMCA WATCH: SENATE MAJORITY LEADER MITCH MCCONNELL’S trade team, led by Erica Suares and Jay Khosla, will begin holding listening sessions with the business community in the coming weeks. The goal: replicate a similar process McConnell’s team deployed during tax reform, according to a source familiar with the plan. IN 2018, MCCONNELL’S TEAM pushed tax reform through with stunning efficiency. Backing of the business community will be critical as Congress tries to pass a rewrite of NAFTA. THIS IS THE WEEK … All of Washington is waiting for A.G. BILL BARR to release the redacted Mueller report. No one knows exactly what potential bombshells the report could entail for PRESIDENT DONALD TRUMP, but the general consensus is this could be a pretty bad week for the administration that has leaned in aggressively on the “no collusion” part of Barr’s summary. IMMIGRATION LATEST — “White House Weighs Broader Immigration Curbs,” by WSJ’s Louise Radnofsky and Rebecca Ballhaus: “President Trump and his top aides are weighing rules designed to clamp down on countries whose nationals overstay short-term visitor visas as part of a broader push for new ways to curb immigration. “Pelosi’s announcement highlighted what has become an extraordinary situation — the speaker of the House is worried about the safety of one of her own members following a statement by the president of the United States. 2020 WATCH … TRUMP’S CASH HAUL: AP’S ZEKE MILLER: “President Donald Trump’s reelection campaign is set to report that it raised more than $30 million in the first quarter of 2019, edging out his top two Democratic rivals combined, according to figures it provided to The Associated Press. — “Can Bernie Sanders really win over Trump voters?” by WaPo’s Sean Sullivan in Madison, Wis.: “The most striking example of this strategy will play out Monday night when Sanders appears at a town hall meeting hosted by Fox News Channel, an outlet many Democrats detest and one the party has blocked from hosting a debate. Sanders says it’s important to talk to Fox viewers directly and tell them Trump misled them. FIRST IN PLAYBOOK … BIG HAUL FROM HOUSE MINORITY WHIP STEVE SCALISE … SCALISE, the No. 2 House Republican, raised $4.3 million in the first quarter of 2019, and transferred $1.87 million to the NRCC. DEFEND THE SENATE, a joint fundraising committee affiliated with Senate Republicans, raised $2 million last quarter, and got big checks from: Ken Griffin, the billionaire hedge fund magnate, who gave $287,700; Charles Schwab who gave $272,100; and Paul Singer, the hedge fund manager, who gave $224,200. R.I.P. 2-STATE SOLUTION … WAPO’S ANNE GEARAN and SOUAD MEKHENNET: “Trump peace package for Middle East likely to stop short of Palestinian statehood”: “President Trump’s proposal for a ‘deal of the century’ to resolve the Arab-Israeli conflict promises practical improvements in the lives of Palestinians but is likely to stop short of ensuring a separate, fully sovereign Palestinian state, according to people familiar with the main elements of the effort. TRUMP’S MONDAY — The president will leave the White House at 10:40 a.m. en route to Minneapolis. He will then head to Nuss Truck and Equipment in Burnsville, Minn., at 12:35 p.m. Central time. Trump will hold a roundtable discussion on the economy and tax reform at 1 p.m. before returning to Washington. SPOTTED: Sen. Kirsten Gillibrand (D-N.Y.) on Sunday morning in Eastern Market on a Lyft scooter while she was out and about with family. … Rep. Alexandria Ocasio-Cortez (D-N.Y.) Sunday afternoon at the UMBRELLA pop-up on 14th Street. … Ryan Zinke last night having dinner at Cafe Milano … Marianne Williamson on Sunday night at Tony & Joe’s in Georgetown. NEW … MIKE SPAHN, Sen. Patty Murray’s (D-Wash.) longtime chief of staff, is joining Precision Strategies as managing director. Spahn worked with Precision founder Stephanie Cutter in Ted Kennedy’s office. 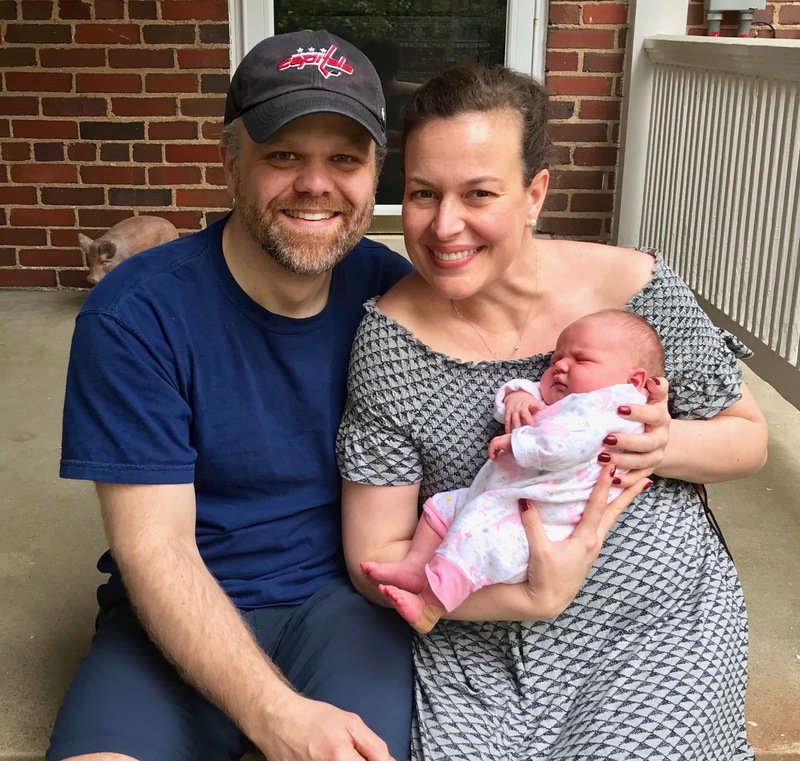 TRANSITIONS — Tyler Lechtenberg, who was a senior White House speechwriter for both former President Barack Obama and first lady Michelle Obama, and Sarah Gouda, most recently a speechwriter to the president of Planned Parenthood, have joined Fenway Strategies. … Izzy Santa has joined BCW (Burson Cohn & Wolfe) as an SVP in the firm’s public affairs and crisis practice. Santa was previously director of strategic communications at the Consumer Technology Association. 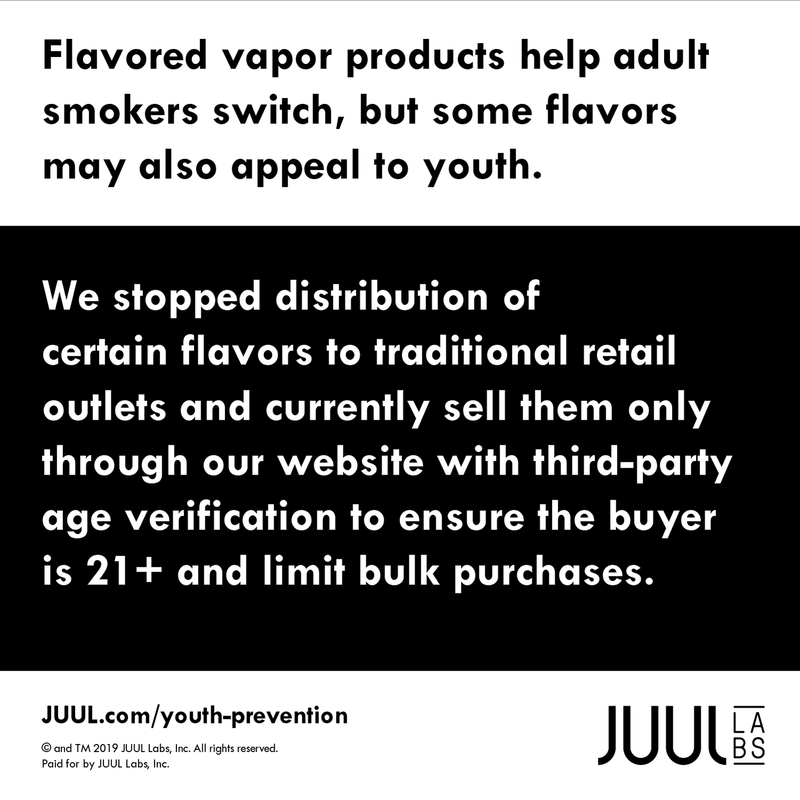 We have stopped distribution of certain flavored products to traditional retail and currently limit their sale to our 21+ age-verified website with bulk-purchase limits. We have exited Facebook and Instagram and removed 40k+ marketplace listings, 23k+ inappropriate posts, 1k+ accounts impacting nearly 1 million followers and 100+ unauthorized online stores. We expanded our secret-shopper program to 2,000 stores per month to promote retailer compliance with federal age-verification requirements and our own bulk-purchasing restrictions.